One of the major benefits of using the Infowise forms is just how powerful and easy the forms process is with Ultimate Forms in SharePoint Online. 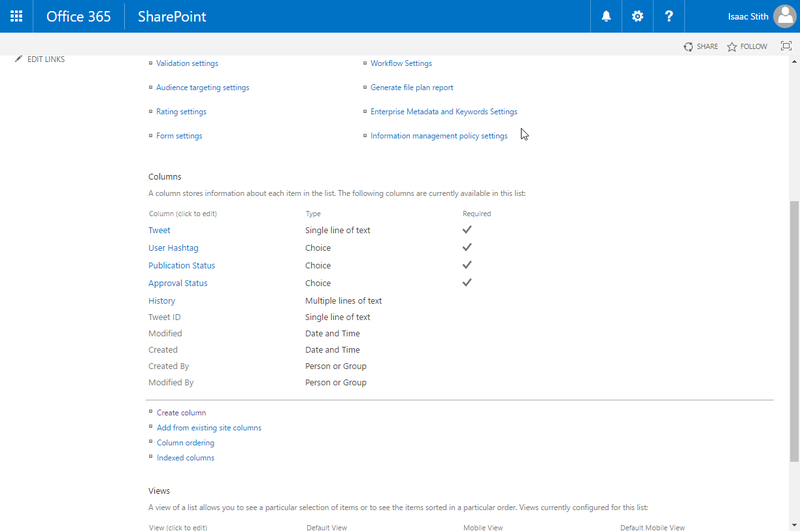 A great example of this power and flexibility is how it is possible extending your forms in SharePoint with actions from Azure. 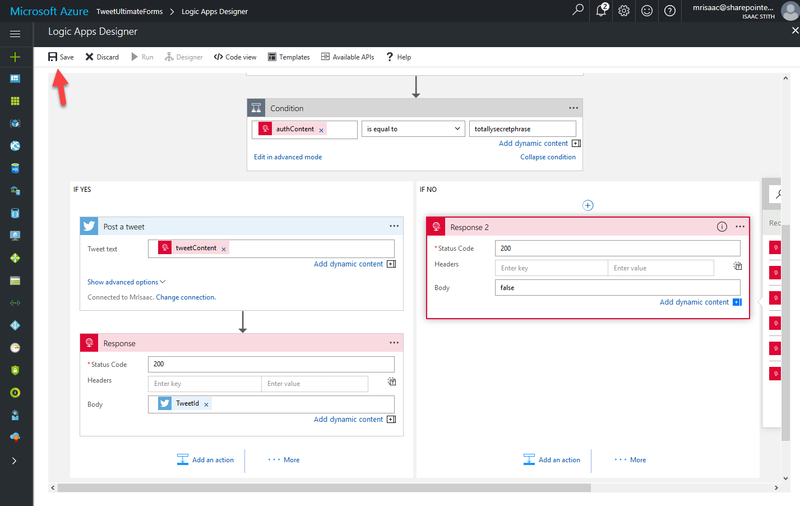 One of the many available Azure services for integration, is the Logic Apps platform. Using preset connectors and logic, you can configure tie ins to many internet services like Twitter, LinkedIn, Dynamics CRM and more. The best part is that you can launch these logic applications from within your Infowise forms, making a seamless business process that integrates across cloud environments. 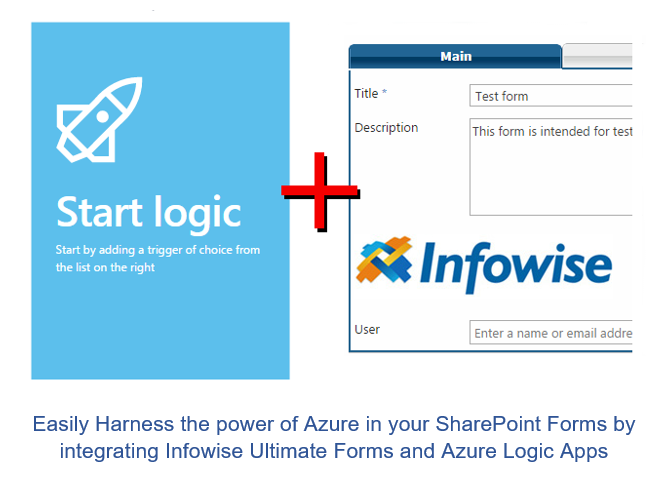 What follows is a proof of concept showing the integration between SharePoint Online with Azure using Infowise Ultimate Forms. The Scenario: A team of users collaborating using a single Twitter account sharing information and interacting with users. One difficulty the team experiences comes from authenticating and managing access to the Twitter account, since each tweet requires approval before posting to company’s twitter feed. 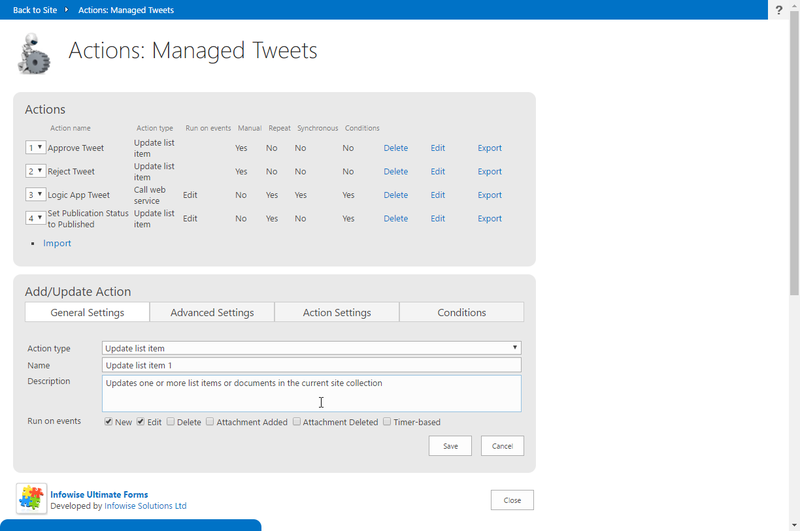 This scenario consists of setting up the form in SharePoint Online in Infowise, then configuring the Action in the Azure Logic App, and finally tying it all together to publish the tweets on twitter.